During this C-IMAGE expedition, the C-IMAGE team is collaborating to share vessel time with scientists from the DEEP-C consortia housed at Florida State University. Collaboration is an excellent way for scientists from multiple GoMRI consortia to work collectively to better understand the Gulf ecosystem. 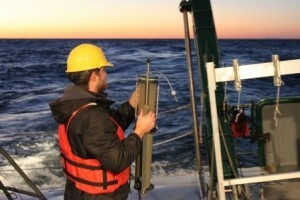 In the field of oceanography collaboration amongst science teams is essential to study large ocean systems. This is especially helpful when research is conducted at sea. We are enjoying learning about the research and sea stories of the DEEP-C scientists aboard. 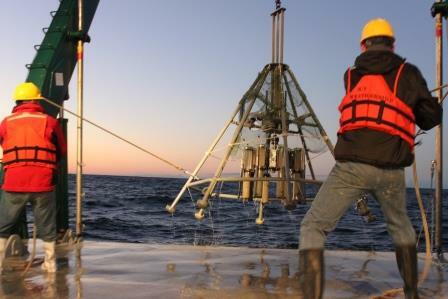 Enjoy this series of blogs that will introduce you to the FSU research team from the DEEP-C consortia, Brian Wells, Cedric Magen and Lee Russell. 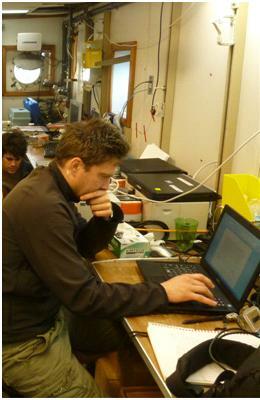 Print article This entry was posted by greely on February 10, 2013 at 10:25 pm, and is filed under Oceanic Updates. Follow any responses to this post through RSS 2.0. You can leave a response or trackback from your own site.